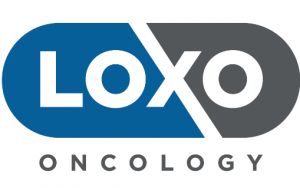 Loxo Oncology (LOXO) announced interim clinical data from the LOXO-292 global Phase 1 LIBRETTO-001 dose escalation trial. LOXO-292 is an investigational, highly potent and selective RET inhibitor. Resonance Energy Transfer (RET), is a mechanism describing energy transfer between two chromophores. These data are being presented at the 2018 American Society of Clinical Oncology Annual Meeting. The LIBRETTO-001 Phase 1 trial contains a dose escalation phase and a dose expansion phase. The dose escalation phase follows a “3+3” design. LOXO-292 is dosed orally in 28-day cycles. As dose cohorts are cleared, additional patients can enroll in these cleared cohorts. Intra-patient dose escalation is also permitted as dose cohorts are cleared. The primary endpoint of the trial is the determination of the maximum tolerated dose or recommended dose for further study. Secondary endpoints include safety, overall response rate and duration of response. The dose expansion phase is designed to further characterize the overall response rate, durability of response, and safety of LOXO-292 in predefined groups of patients with activating RET alterations. The data presented at ASCO were based on an April 2, 2018 data cut-off date. Eighty-two total patients had been enrolled to eight dose escalation cohorts. Pharmacokinetic analyses during the dose escalation demonstrated dose-dependent increases in LOXO-292 exposure with increasing dose. Starting at the 40 mg BID dose and the 80 mg BID dose, respectively, LOXO-292 delivered sustained greater thanIC90 RET fusion and greater thanIC90 RET M918T-mutant target coverage, based on cell-based potencies. Most treatment-emergent adverse events were Grade 1 in severity. The expansion cohorts of the LIBRETTO-001 trial are now open and enrolling at the 160 mg BID dose. This dose was selected for initial expansion based on its promising activity and tolerability profile. Additional dose exploration above 160 mg BID is ongoing and patients enrolled to the expansion cohorts may dose escalate should a higher dose be advanced. Citi analyst Yigal Nochomovitz raised his price target for Loxo Oncology to $235 saying the company is the “star of ASCO.” The analyst now believes LOXO-292 has advanced into an advantageous competitive position in RET fusions. He expects the shares to continue to trade up and keeps a Buy rating on Loxo. Morgan Stanley analyst Matthew Harrison said he expects Loxo Oncology shares to trade near $200 in the wake of data on LOXO-292 presented at the ASCO meeting that he said “sets a high bar for competitors.” The data positions LOXO-292 to rapidly advance to registration, said Harrison, who raised his market share estimate for LOXO-292 to 70% from 60%, increased his LOXO-292 peak sales estimate to $1B from $700M, and lowered his risk-adjustment, all of which drove his price target on Loxo shares to $215 from $170. He maintains an Overweight rating on Loxo Oncology, which is up 13% to $210.50 in pre-market trading. JMP Securities analyst Konstantinos Aprilakis said the Phase 1 study data presented on LOXO-292 in patients with RET-altered cancers at the ASCO meeting came in “far above expectations” with respect to both efficacy and safety. Citing the overall response rate in RET fusion cancers of 77%, Aprilakis called the efficacy data “exceedingly impressive” and increased his price target on Loxo Oncology to $221 from $182 following the presentation. Aprilakis maintains his Outperform rating on Loxo shares. 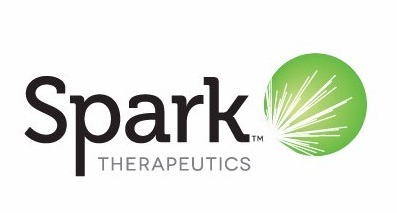 Sorrento Therapeutics (SRNE), cellular therapy focused subsidiary TNK Therapeutics and Surefire Medical announced initial results from the Hepatic ImmunoTherapy for Metastases-Surefire, or HITM-SURE, a Phase 1b single arm trial testing its autologous anti-CEA CAR-T cells administered regionally by hepatic artery infusion via pressure directed microvalve infusion technology in heavily pre-treated patients with refractory CEA-positive liver metastases. This Phase 1b trial follows the HITM and HITM-SIR Phase 1 studies we believe demonstrated the safety and biological activity of the anti-CEA CAR-T administered with hepatic artery infusions alone or with selective internal radiotherapy. The data of HITM-SURE were provided by Dr. Steven Katz, the Principal Investigator of the Study and Associate Professor of Surgery at The Roger Williams Medical Center. The study is also open at Colorado University and funded in part by the Colorado Office for Economic Development and International Trade. In total, three patients have completed the ongoing HITM-SURE protocol, two with stage IV pancreatic cancer and one with colorectal cancer. All patients presented with unresectable, chemotherapy refractory CEA+ liver metastases. Patients received three HAI of anti-CEA CAR-T cells along with low dose IL-2 infusion. CAR-T HAI were administered via a Surefire MVI technology. The primary objective of the study was to establish the safety of the CAR-T HAI with the pressure directed MVI device. Secondary objectives included response assessed by modified RECIST, immune-related response criteria, and tumor marker kinetics. 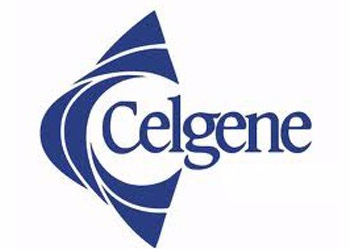 Reduction in post-treatment serum CEA was noted in all patients. Two patients have progressive disease, with a pancreatic cancer patient alive at 7 months and a colorectal cancer patient alive at 4.8 months. A patient with stage IV pancreas adenocarcinoma has no evidence of liver metastases 11 months on PET scan following three CAR-T HAIs. In the phase III MPACT study, treatment of stage IV pancreas adenocarcinoma patients with gemcitabine plus albumin-bound paclitaxel resulted in a median overall survival time of 8.7 months. 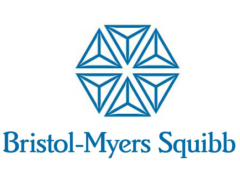 It will be of interest to determine if the results from upcoming phase 2 liver metastasis HITM studies will confirm the encouraging results from our small number of patients. The initial findings from the currently enrolling HITM-SURE trial follows the results of two other trials. In one of the previous trials, a patient survived 51 months following 3 anti-CEA CAR-T HAIs and a patient from another trial is alive 25 months after treatment. 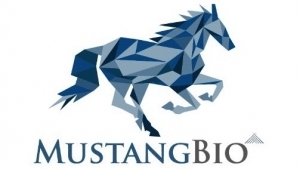 Kite, a Gilead Company (GILD) and Sangamo Therapeutics (SGMO) announced the companies have entered into a worldwide collaboration using Sangamo’s zinc finger nuclease technology platform for the development of next-generation ex vivo cell therapies in oncology. Ex vivo cell therapy is in essence gene therapy delivered by transfer of therapeutic genes to cells in culture, which are then given to the patient to treat fatal infections such as AIDS, or other conditions such as cancer or genetic diseases. These manipulations include the purification and culture of therapeutic cell subtypes, as well as elimination of cells which cause disease (cancer cells or immune cells reacting to the body itself). Gene therapy can be delivered by transfer of therapeutic genes to cells in culture, which are then given to the patient to treat fatal infections such as AIDS, cancer or genetic diseases. Kite will use Sangamo’s ZFN technology to modify genes to develop next-generation cell therapies for autologous and allogeneic use in treating different cancers. Allogeneic cell therapies from healthy donor cells or from renewable stem cells would provide a potential treatment option that can be accessed directly within the oncology infusion center, thus reducing the time to infusion for patients. Under the terms of the agreement, Sangamo will receive an upfront payment of $150M and is eligible to receive up to $3.01B in potential payments, aggregated across 10 or more products utilizing Sangamo’s technology, based on the achievement of certain research, development, regulatory and successful commercialization milestones. Sangamo would also receive tiered royalties on sales of potential future products resulting from the collaboration. Kite will be responsible for all development, manufacturing and commercialization of products under the collaboration, and will be responsible for agreed upon expenses incurred by Sangamo. This transaction is subject to clearance under the Hart-Scott Rodino Antitrust Improvements Act and other customary closing conditions. A Current Report on Form 8-K describing the proposed transaction in more detail will be filed by Sangamo, and this press release is subject to further detail provided in Sangamo’s 8-K. Separately, Sangamo reported Q4 EPS (15c) vs consensus (18c) – Reported Q4 revenue $13.1M, consensus $11.43M. Sanofi (SNY) and Ablynx (ABLX) entered into a definitive agreement under which Sanofi will offer to acquire all of the outstanding ordinary shares, including shares represented by American Depositary Shares, warrants and convertible bonds of Ablynx at a price per Ablynx share of EUR 45 in cash, which represents an aggregate equity value of approximately EUR 3.9B. The transaction was unanimously approved by both the boards. Under the terms of the agreement, Sanofi will launch public offers to acquire all of the outstanding ordinary shares, warrants and convertible bonds of Ablynx in cash. The public offers are expected to be launched by the beginning of Q2. In accordance with the Belgian requirement of certainty of funds, Sanofi has entered into a bank credit facility, BNP Paribas Fortis acting as the sole credit facility arranger. EMA rejects Breast Cancer Drug! Puma Biotechnology (PBYI) announced that the Committee for Medicinal Products for Human Use of the European Medicines Agency has communicated a negative trend vote after meeting with the company today to discuss the Marketing Authorisation Application for neratinib for the extended adjuvant treatment of early stage HER2-positive breast cancer. CHMP indicated that, in its opinion, the benefit risk assessment is negative as the study results are based on evidence from a single pivotal trial and the 2- and 5-year invasive disease free survival benefits observed to-date may lack sufficient clinical relevance. On July 17, 2017, the company announced that the U.S. FDA has approved #NERLYNX (neratinib), formerly known as #PB272, a once-daily oral tyrosine kinase inhibitor for the extended adjuvant treatment of adult patients with early stage HER2-overexpressed/amplified breast cancer, following adjuvant trastuzumab-based therapy. The drug became commercially available in September of 2017 under the trade name as NERLYNX. Last September, Puma Biotechnology (PBYI) presented positive results from the Phase III clinical trial of Puma’s drug neratinib for the extended adjuvant treatment of early stage HER2-positive breast cancer following trastuzumab-based therapy in a proffered paper oral session at the European Society of Medical Oncology 2017 Congress in Madrid, Spain. Today’s EMA decision was a surprise to the market. PBYI closed at $90.90. 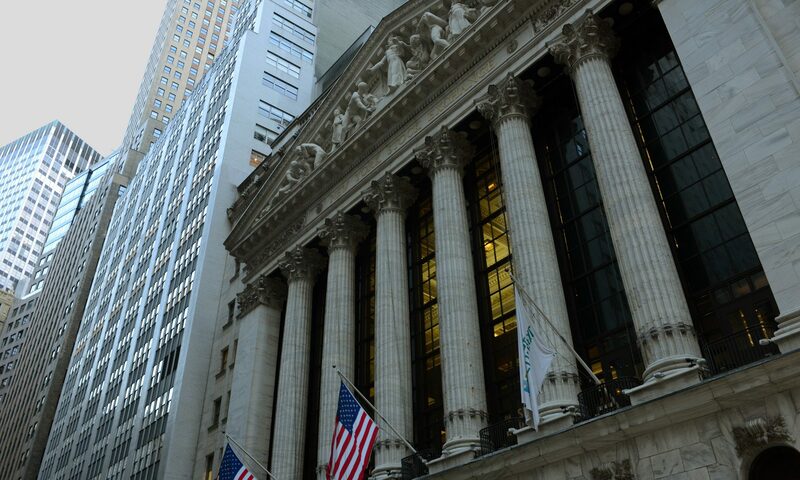 Shares last traded at $66.00 in extended trading.